The University’s Centre for Manx Studies is to be transferred from the Isle of Man to the University’s Liverpool campus following a review of its long-term sustainability and the withdrawal of financial support by the Manx Government. 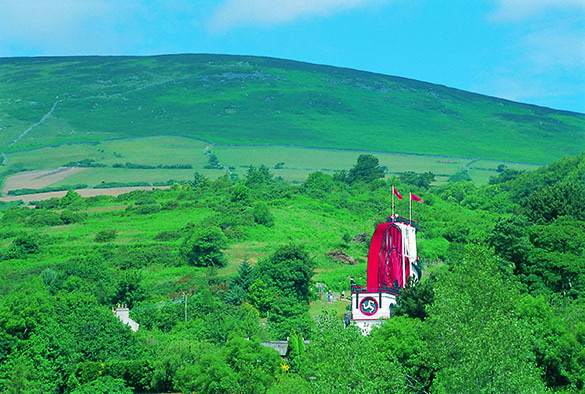 The Centre was established in 1992 to provide a focal point for research across a wide range of areas relating to the Isle of Man, from earliest times to the present day – particularly in Archaeology. The Centre will be transferred to Liverpool in July, remaining within the Department of Archaeology, Classics and Egyptology. The University will no longer retain a physical presence on the Isle of Man. Executive Pro-Vice-Chancellor for Humanities and Social Sciences, Professor Fiona Beveridge, said: “Given the withdrawal of support by the Manx Government, we have decided that we can no longer sustain the Centre on the Isle of Man. “We remain committed to high quality archaeological research across the UK and Ireland and our work in this area on the Isle of Man, for example on Iron Age settlements and WW1 sites, will continue.